There are more than 30 ministries and organizations at St. Nicholas serving the parish and our neighbors in the world. We have organized them into four areas: Educational Ministries, Liturgical Ministries, Outreach Ministries and Parish Life Ministries. We invite you to discover the joy of putting your faith into action by joining one of these ministries or organizations. Educational Ministries - To grow in faith, children and adults have many opportunities to learn at St. Nicholas. 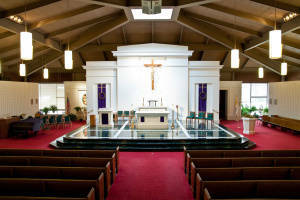 Liturgical Ministries - These ministries revolve around Mass. Outreach Ministries - St. Nicholas is known for its outreach to those in need, serving others with the love of Jesus, who first loved us. Parish Life Ministries - These ministries help make our parish run smoothly and maintain a vibrant community life.